Bria Harmon is the daughter of a coach who has had her father coaching her in both club (FBC) and now in high school (Collins Hill). The family is already very familiar with a handful of Purdue players from the state of Georgia. Drey Mingo, as well as Antoinette Howard, both played for Bria's father Brian with club program FBC. Current Purdue players Miracle Gray and Dominique Oden were teammates of Bria Harmon. Harmon is a point guard most often described as in control. She possesses a quick release and can hit out beyond the perimeter. She runs the floor smoothly, can change directions quickly, and pushes the ball well. 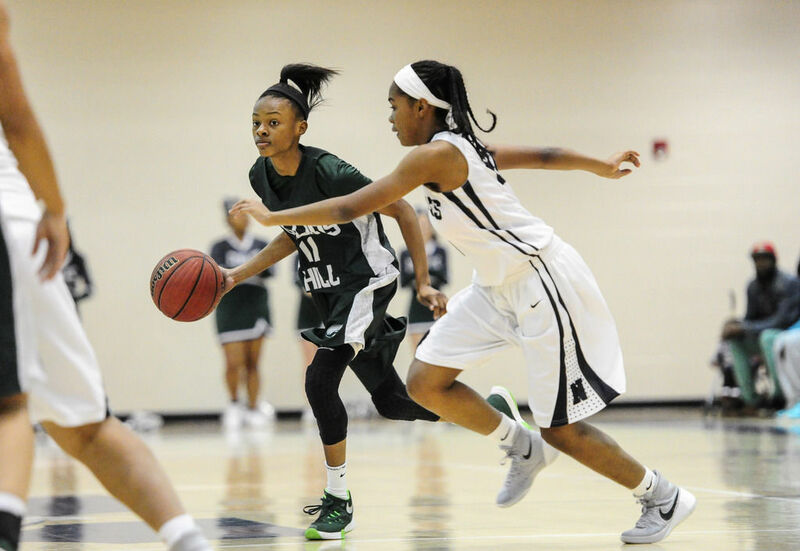 Her Collins Hill high school team is one of the favorites to with the GHSA state title this season. As a sophomore, Harmon averaged 12 points, 3 assists, and 2.5 steals for a 25-5 team. No. 4 Collins Hill fell to No. 1 Norcross in the Georgia 7A state quarterfinals, 37-30. Both teams failed to shoot higher than 30-percent from the floor for the game. She verbally committed to Purdue on 11/30/15 over very early interest from Auburn and Florida. She has expressed interest in studying engineering in college.